Statler and Waldorf finally have a place for their vaudeville outfits to make sense. This is one of the coolest things I have ever made!! I am a huge fan of the muppets and I wanted to share this special project with you that was very close to my heart. This is my scratch built Muppet Theatre Miniature Playset. Its is done 1/12th scale or 1"scale (doll house scale). I hand crafted it with a labour of love and I cant wait to show you all the fun things about it! Please enjoy! 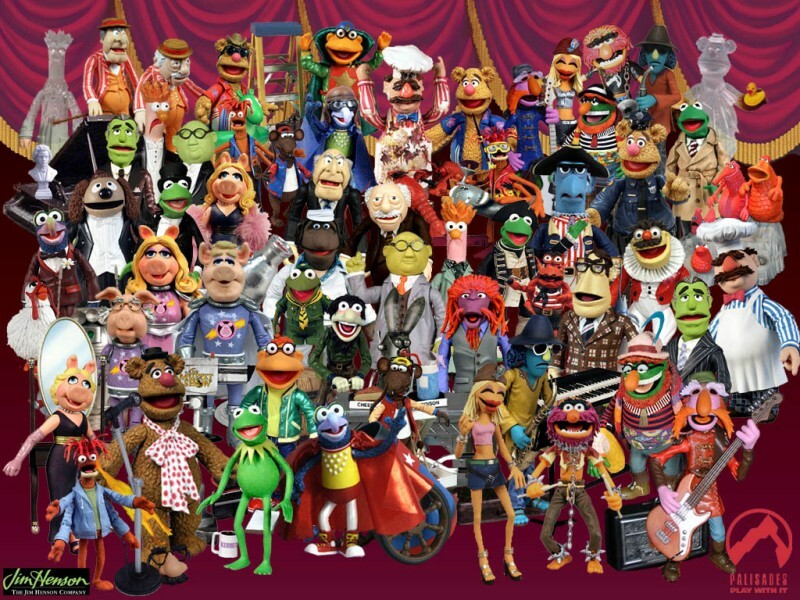 Nine years ago Palisades toy company began releasing the Muppet Show Character figures. I had always been a huge fan of the show and I loved the opportunity to own a piece of this important history . The quality of the characters' construction was top notch, the accuracy of the details were unmatched and the accessories were amazing. They released 4 playsets including Pigs in Space, Sweedish Chef kitchen, Muppet Labs and Electric Mayhem Concert Stage. I have 82 of the Muppet Show Characters and all of the playsets. When the company went bankrupt in 2006, the toy line stopped abruptly and many of the proposed toys never happened. The Palisades Muppet Toy Line. Image provided by GWGumby. The most disappointing loss was the Muppet Theatre Backstage Playset. This would have held all the playsets inside of it, and created a place to display the characters in their natural environment. Im sure Palisades would have done an amazing job...but I think I have done them justice. I have tried to capture the essence of the Palisades brand, including aesthetics, attention to detail and interactive fun! Finally Scooter's Muppet Theatre outfit makes sense! I had to order these online, but they really work!! Of course I had to create Kermit/Gonzo's Opening Hole. Title board is on a Fly so it can be removed. 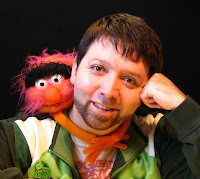 Its the Muppet Show, with our very special guest star...Lance Cardinal yaaaaaay! The stage without title board and main drape closed. Floor boards are maple wood. Trim is custom Dollhouse trim. 1" Scale. The stage proscenium is show accurate and all the baroque paneling is hand crafted. Side panel opens to insert sets and access main drape ropes. Door locks with magnets, just for a Palisades touch. The curtain is a Tab style curtain. The rigging and hardware is based on the actual. Rope set in place. Here you can also see the door magnet..shhh dont tell. Curtain can be pulled all the way out. Classic Black backdrop. This is basic "SHOW MODE"
Lots of hooks for any curtain height desired. You can see the legs and borders of the theatre through here. Here is a view of the fly rails. I added eyelets and scale rope for authenticity. All flys and the main drape are adjustable and removable. there are notches in the sides for any position. Real Trap door in floor that works!!. Great idea Jeff!! Fozzie, Kermit and Jim Henson with a custom half wall I made. Here is the Theatre in "PRODUCTION MODE" with all flys and legs taken out. Back wall is very detailed. Great view of the back wall details and prop storage. View form the left side. Opening lines up with backstage playset. Overall view of back wall through proscenium. Backstage playset connected to mainstage playset. I thought it was important to have a seamless transition. Almost everything here is built from scratch. Some palisades props were added. Notice the extinguisher holder. Lots of places to hang props from the series. View from the open door stage left. I added Muppet Movie posters , making sure Jim henson was involved in the ones I chose. The brick was hand made form concrete mix. The sandbags are made form scratch. This peg rope system is custom made as well as the light switch to match the Palisades originals. Close up view of stage left corner. Extinguisher box opens and power box handle switches up and down! Ladder was custom built. Door was custom made, based on the British cities the series was filmed in. Stencils were hand made and painstakingly cut, then painted on. hardware is purchased. I gave everything a paint treatment that is reminiscent of a Muppet Movie. Figures on the set create magic!! Greta views! Unique points of view not seen in the television series. Lots of room for figure interaction and custom scenes!! Photos like these are the reason I wanted to make this playset. SOOOOOO FUUUUN!! Here is the "Pigs in Space" playset inside the theatre. Ive waited to see this since the series of toys began! Swedish Chef Kitchen Playset inside the Theatre. Bork Bork! Lighting can make the figures POP!! Both Playsets together!!! Finally the series is complete!! I really believe I captured the look and feel of the muppet theatre, more than i have seen in most movies. 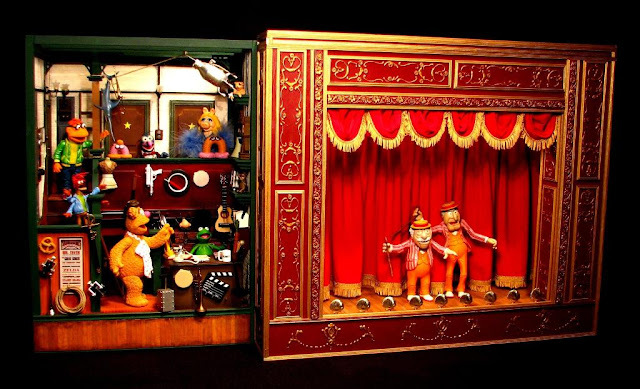 I know that many people were sad that this Muppet Theatre was not created. I hope this satisfies that need to see what could have been. Custom Palisades Muppet Show Backstage Playset!